Sears CEO Eddie Lampert has already made changes to the Sears online shopping venue. Currently in place is a membership program called “Shop Your Way.” Third party sellers are already on board, and that will compete with Amazon’s e-commerce marketplace that also hosts third-party sellers. 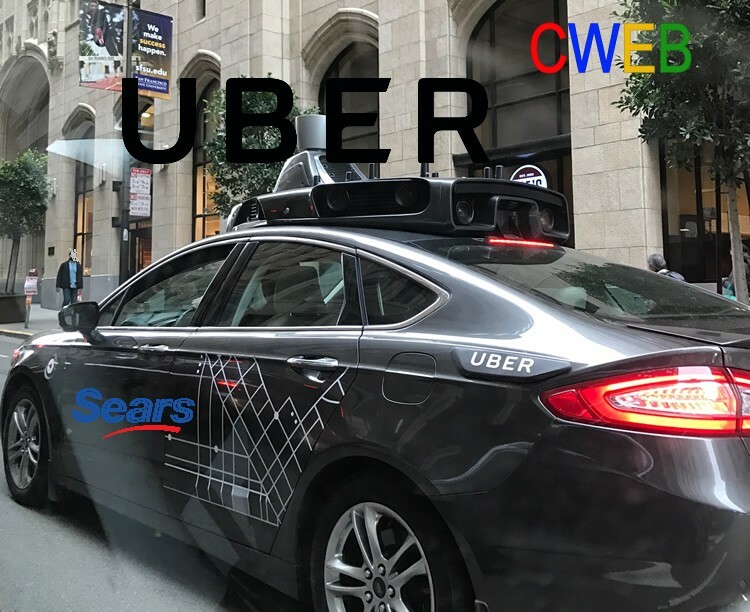 People who sign up to drive with Uber at shopyourway.com/uber can earn up to $1,000* in Shop Your Way points, redeemable for millions of products at Sears, Kmart, Lands End, and on shopyourway.com. So if you’re hitting the road to replace that old refrigerator or saving up for a shopping spree, Uber and Shop Your Way can put your goals within reach on your schedule. Current US driver-partners who link their Uber accounts with Shop Your Way get other perks too: 50 percent off oil changes and 30 percent back in points on all labor at Sears Auto Centers. That means less money spent on car maintenance and more cash in your pocket to spend on what you want. With Uber, you can push a button and get reliable transportation or meaningful work whenever you want: no hoops, no hassle. We think getting rewarded should be just as easy, and thanks to our partners at Shop Your Way, pushing a button is about to make riding and driving that much more rewarding. Visit shopyourway.com/uber/rewards to connect your Uber and Shop Your Way accounts and start earning rewards. *Sign up reward may vary by market.